A. Most simply, ikebana is the centuries-old Japanese art of floral arranging. The word "ikebana" means "live flowers". Although ikebana was rooted in Japanese Buddhist culture and was once full of rigid, intimidating rules, today there are ikebana artists all around the globe and the constant interaction between them has resulted in a world-encompassing art form that incorporates the color schemes, flowers, and vases of all countries. Worldwide, people arrange flowers for all kinds of occasions and events. Flower arrangements are part of human nature, a way to celebrate events or to express emotion. Without words, flower arrangements speak to people and bridge diversity. Q. How does ikebana differ from other floral arranging styles? A. The Japanese attitude toward floral arrangement is deeper and more spiritual than the Western approach to floral design. Ikebana arrangements strive to express the wondrous creations of Nature, on a reduced scale. Two important philosophies of ikebana are that the arrangement must fit the environment in which it is displayed; and that the individual arranger's emotions and character are to be expressed in the arrangement. Thus, it is not just flowers in a vase it is considered to be an art of human communication. In contrast to most Western floral design, ikebana compositions are based on asymmetry, requiring specialized artistic development and specific technical expertise on the part of the arranger. Ikebana is noted for its mastery of proportional harmony between the flowers, vase, and setting. Its uniquely beautiful proportions made a permanent impact on Western-style floral design. The "moribana" style arrangements in a low, wide, basin-like container is unique to the world of ikebana. Moribana arrangements integrate the water surface as a component of the overall composition and require the support of a special flower holder. Q. What is an ikebana "school"? A. As with many major forms of design, the evolution of ikebana has resulted in a rich variety of co-existing, aesthetic approaches or "schools." There is no single style of Japanese flower arrangement. Some ikebana schools retain a classical approach to design, reminiscent of ikebana's origins as Buddhist altar arrangements; some schools have a more relaxed and naturalistic style; while other schools are very unconventional. Each is beautiful in its own way. Today there are thousands of ikebana schools. However, the major schools have physical headquarters in Japan and worldwide membership. Q. What is the Wafu School of Ikebana? A. Headquartered in Japan, the Wafu School of Ikebana employs a less restrictive approach to flower arranging than many other schools. The Wafukai philosophy teaches the practitioner to "arrange the flowers that you like suitably in a container that you like." It is a philosophy that respects the artistic sense of the individual arranger, while providing each artist with extensive instruction on the techniques needed for successful creativity. 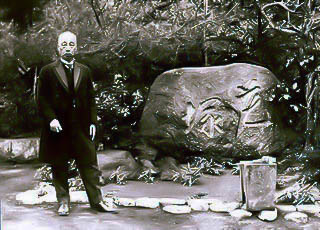 The School was founded in 1912 by Wafu Teshigahara and originally called "The Japan Ikebana Academy." Today, the founder's grandson leads the School. The Wafu School of Ikebana has chapters throughout Japan and in many major countries, including the U.S. It has an active California chapter called the Wafukai Ikebana Society. A. The Wafukai Ikebana Society is the official name of the California chapter of the Wafu School of Ikebana. In 2005, the California chapter had approximately 200 members, including nearly 60 accredited teachers, primarily located in the San Francisco Bay Area. The Society's multicultural membership, reflecting California's diverse populace, is bound together by a common interest and appreciation for the art of ikebana. Chapter activities include instructional courses, demonstrations, and a biennial exhibition, all open to the public. As well, some chapter members participate in the activities of the San Francisco chapter of Ikebana International and the Ikebana Teachers Federation. Leading the chapter is the highly respected Mrs. Fusako "Seiga" Hoyrup, a native of Japan who established the chapter and now resides in Cupertino, California. Q. What are the basic styles of ikebana? A. There are two basic styles: "moribana" and "nage-ire." Moribana (using a low, shallow container and flower holder) is a relative newcomer in the evolution of ikebana art, but its popularity has placed it alongside the older "nage-ire" (using a taller, upright container without a flower holder) as a primary style. Arrangements in either of these styles may be suspended from the ceiling or wall, or when large in scale can be placed on the floor. Patterns of composition that are applicable to both styles include upright, slanting, spreading, and cascading. An additional pattern, the horizontal pattern, is exclusive to the moribana style. Q. What are the fundamental design principles of ikebana arrangements? A. Fundamental to almost all schools and styles of Japanese flower arranging are three lines created by tall, medium, and short stems. Originally symbolizing heaven, man, and earth, today the proper placement of these stems in an arrangement creates a three-dimensional, triangular framework. Additional stems provide a focal point, depth, and filler. Q. Where can I take ikebana lessons? A. Several Wafukai Ikebana Society teachers offer lessons in the San Francisco Bay Area. See the classes page for more details. Course fees may include materials; always inquire. Q. Who can teach ikebana? A. An ikebana teacher is usually associated with the school in which he/she was originally trained. Although requirements vary from school to school, aspiring teachers generally study ikebana for many years and must pass examinations before being accredited by their headquarters to teach. Most teachers are required to continue advanced studies while teaching. Q. Where can I learn more about ikebana? A. There are numerous websites about ikebana, including the galleries here at wafu-ikebana.org , and most sites link to others. Many libraries and bookstores carry books on the history and styles of ikebana. One of the best learning resources is an actual ikebana flower show, where a wide variety of live arrangements are on display.